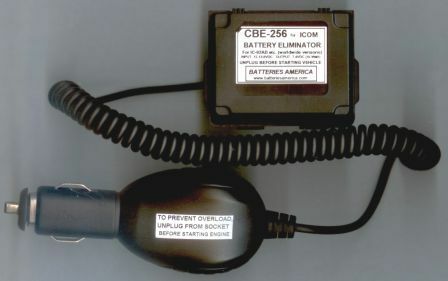 CBE-256 is a DC Battery Eliminator for the ICOM IC-92AD radios. 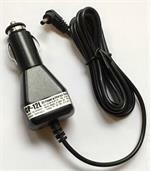 It enables you to operate the radio directly from a 12 volt DC socket. Has built-in noise filtering circuitry, and voltage regulation. Clips onto radio just like a battery. BP-256 : 7.4 volt 1620mAh rechargeable Lithium ION battery pack for the ICOM IC-92AD (D-STAR) handheld radio. Fits worldwide versions. Re-charges thru the radio, or with our EMS-256 charger, or with the ICOM desktop charger (BC-177).